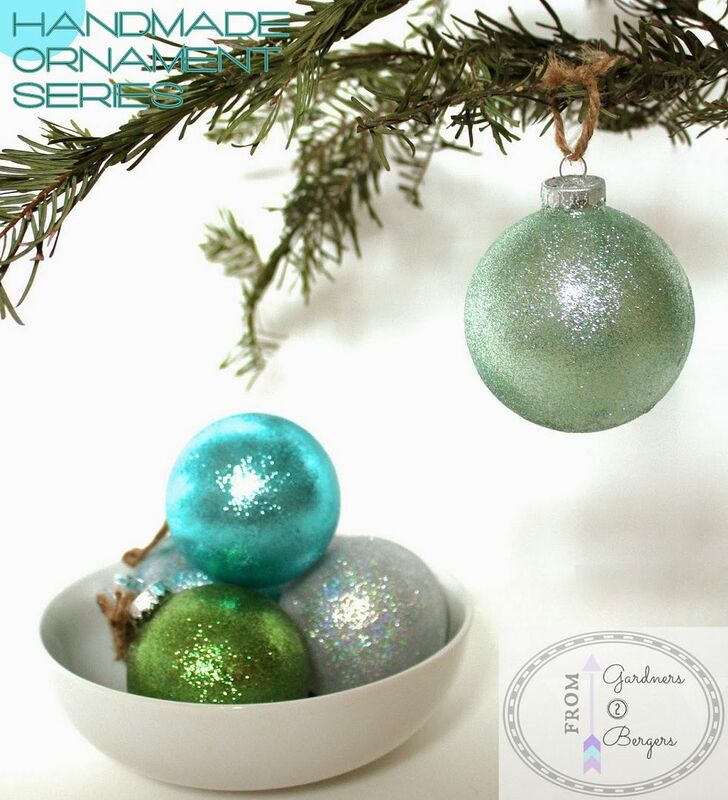 Homemade Glitter Covered Ornaments | Welcome to the Fourth Annual Handmade Ornament Series. This week a line up of fabulous friends will be stopping in each day to share some creative Homemade Christmas Ornament ideas. Tis the season to be jolly! And Merry! And Cheery! All my life I have found happiness in Christmas. I think many of you probably feel the exact same way. I remember when I was a little girl, my father would take the entire family to the church and we’d listen to the Christmas message and learn about Christ. I would practically explode with anticipation as Santa would finish the night with presents and candy. It was so magical and though commercialism has saturated the market, the magic is still there. You just have to look for it in ways that bring it alive. drink 2 liters of Mountain Dew, and snuggle! 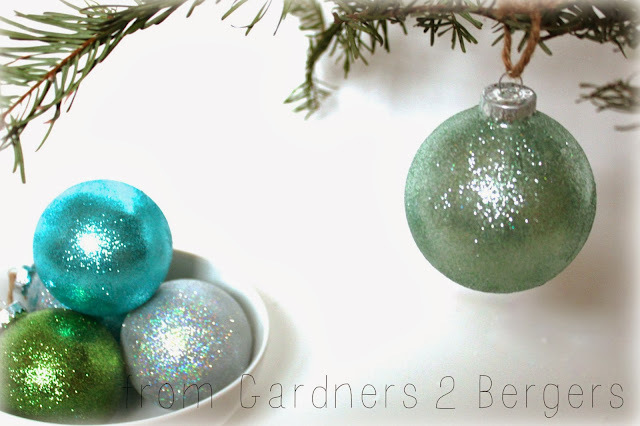 I’ve done several DIY ornaments over the years, and I must admit, these easy glitter ornaments are a legit favorite. They are so sparkly and pretty- and isn’t glitter just so fun!? I LOVE how stinkin easy they are to make- and so will you! I used glass ornaments to make these guys. You can find clear ones at craft stores. I experimented with several types of glue and found Elmer’s Glue to be the far-and-away best. You should use a sponge brush to paint the glue all over the ornament. I usually stick my finger into the ornament opening and hold it that way. Liberally sprinkle glitter all over the wet glue. I make sure a large piece of paper is laid out, so I can collect the fallen glitter afterwards for reuse. Dry upside down for 24 hours. 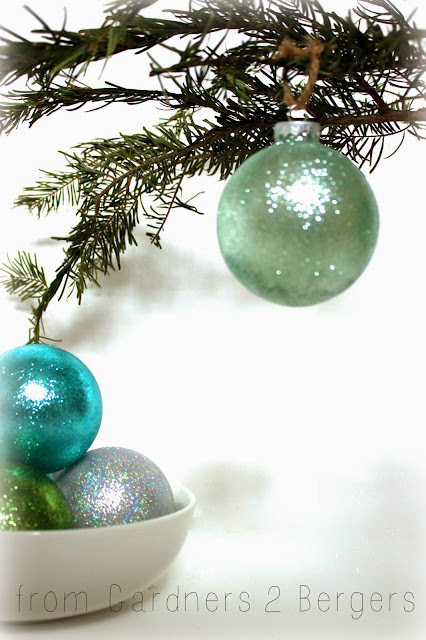 I used glass ornaments because I like the look and weight of a glass ornament better. 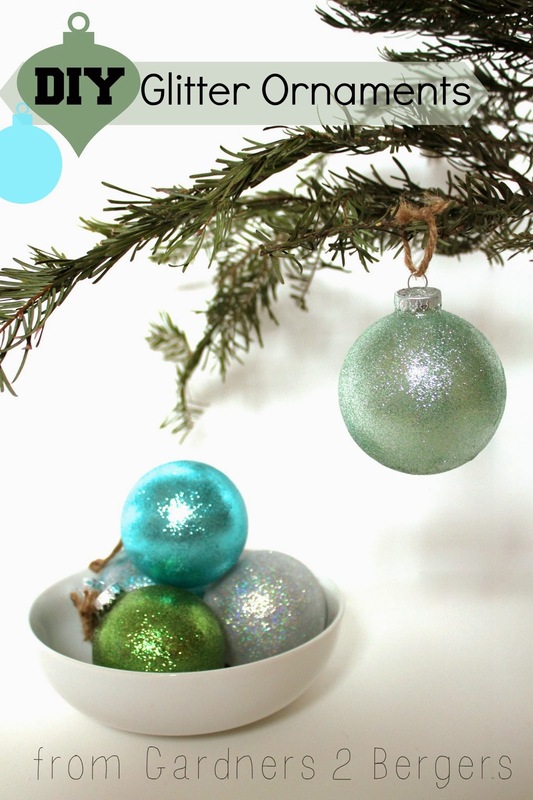 However, you could use plastic ones if you wanted and it could be a good way to cover outdated or tired ornaments!I love being able to get the perfect color ornament to add to my tree and this glitter from Martha Stewart is the best. 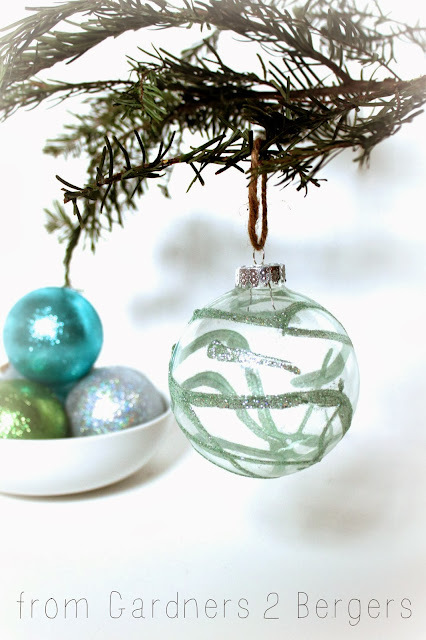 Using nearly the same tutorial, you can also make this swirled, glittery ornament, too! It’s the easiest thing in the world! Rather than painting your Elmer’s Glue all over, you can just swirl it around the bulb. I think this would be a perfect craft for children! You could have them swirl the glue or sprinkle the glitter- and wouldn’t that be fun to do together? 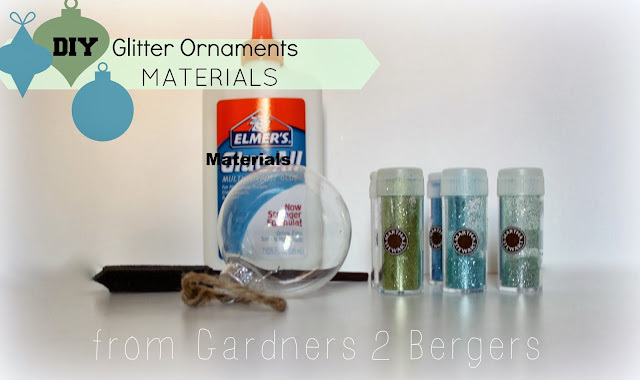 I hope you have a chance to create your own glass glitter ornaments, it’s a fun and easy project with a whole lot of shine! You can see them on my tree here. 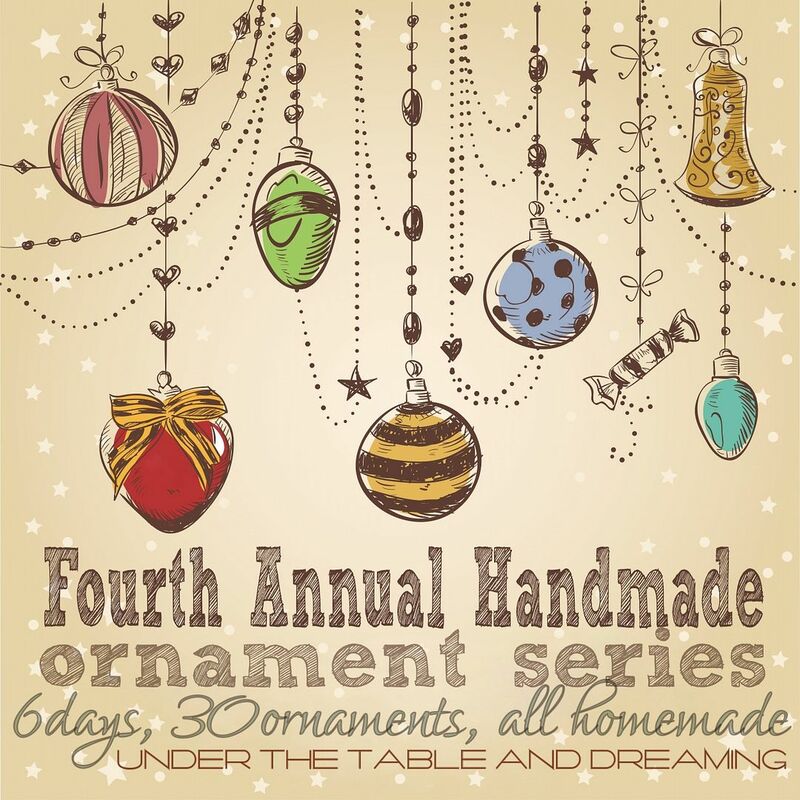 I wanted to thank the fantastic-talented- and all-around-awesome, Stephanie Lynn for allowing me to join the in the annual ornament series. It was a-may-zing being with ya’ll today! Becca crafts, rehabs, and DIYs at the blog, From Gardners 2 Bergers. With almost three years of experience now, she has become an active presence on in the online social media market. Her driving personality and clever whit are entertaining and enlightening. Though she is gifted with crafts, Becca has an eye for fashionable products and an amazing ability to bring them to DIY’ers at affordable rates. 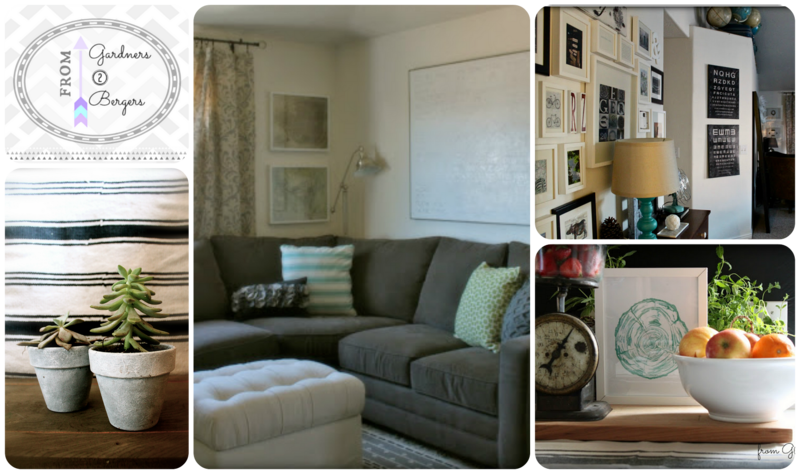 Her favorite part of blogging is the friendships she has made and the people who share a passion for DIYing. 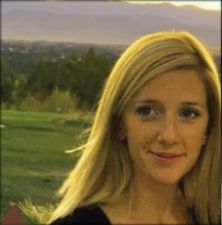 When Becca isn’t blogging she works on her MBA (graduation in April! Wo who!) and traveling around the world with her husband and two yorkies. You can stay in touch with Becca below. Wow! Thank you so much for the chance to share on your blog today, Stephanie Lynn! I am thrilled have this chance to collaborate. I am literally shouting it out to everyone I know!! These are gorgeous Becca I LOVE the swirled one so much!! Thanks, Dria!! I am gushing with happiness that you liked it! Thanks, love! SO glad you liked them! Very pretty! Particularly love the one with the swirls!